Independent. In the world of entertainment it means having the freedom to be truly creative, corporations have a tendency to forsake real art in favor of the bottom line. they recycle and over-process everything and jam the resulting beige ooze down your throat, as they reach for your wallet. this bottled stupidity has sent many people creaming into the night in search of originality and creativity. I too have begun a search for under appreciated artists with the freedom to product a kick you in the crotch spit on your neck good time. Not long ago, one such independent group of musicians came to my attention. 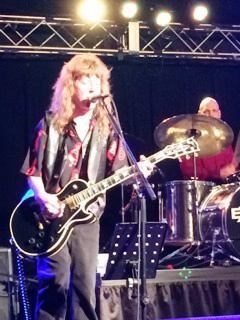 The members of “Expen$E”, John B. Popovich, Kevin (Twiz) Twisdale and Robert J. Michaels, have reintroduced me to the kind of rock and roll found in the smoke filled bars of our politically incorrect past. Their 1995 release “Pocket Full of Change” takes an If-It-Ain’t Broke-Don’t-Fix-It approach to cuts like “The Best of Me” and “She Comes Around”. 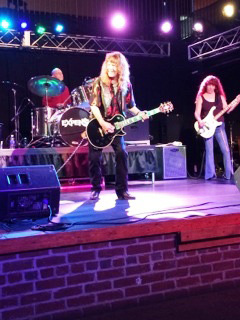 Now, if you’ve been missing the rib rattling guitar riffs of years gone by, you’ll love “Deadly Weapon”. When you’re in the mood for a good flashback to some straight ahead rock, tell the trend-obsessed critics to stuff it and give these guys a listen. Their fan club? 172 North Jackson Avenue, Bellevue, Pennsylvania 15202. Once upon a time, and it’s getting to be a long time ago (decade and a half, would you believe? ), there were clubs whose owners fixed their eyes on the next millennium, and so you had places with names like 2001. And you had bands with names like Adams/Michaels to fill them with sound. Adams/Michaels Band recorded the anthemic “Are You Ready to Rock and Roll?” which earned a bit of airplay, and earned the band a few ducats. Robert Michaels has reinvested that experience into a new musical account, one that doesn’t nickle-and-dime the listener but attempts to coin an answer to the question in the title of that earlier song. And yes, they are ready. Check out “When It All Comes Down,” classic song structure with appropriately bluesy lyrics powered by appealing instrumental lines. Great final bars. “Deadly Weapon” gives that track a run for its money, a high-energy, socially aware entry that features the sound of the city. “Dejavu” is funky fun, while the listenable rocker “I’ve Had Enough” cashes in on tasty stringwork, everything in its place. “Now I Don’t Care” starts slow then clicks, especially when the refrain arrives. “So They Say” offers a touch o’ Celtic with a good vocal blend. “Pocketfull” opens with “The Best of Me,” a clean production that kicks off with a mini-overture, though it wouldn’t hurt if the harmonies were mixed forward a bit. Vocal falls a little short on “Standing in the Shadows Alone.” “Don’t You Know” is stronger instrumentally than lyrically, while “Some Women” shares the idea of a catchy opening with “Best of Me.” Wrapping it up is “She Comes Around,” but only from time to time. 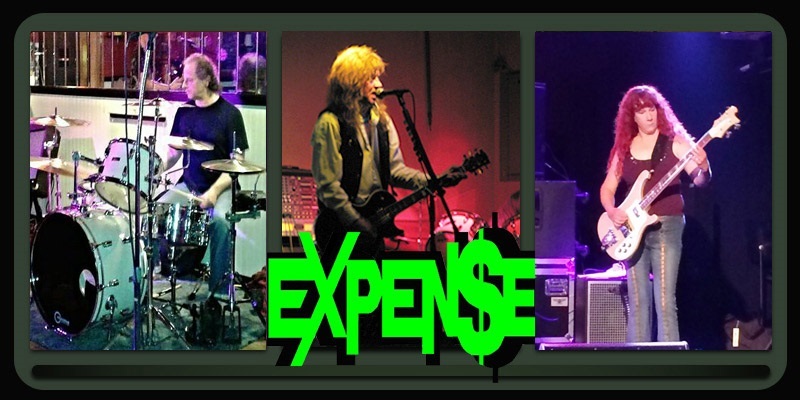 How about, if you’d like to check out Expen$e before you go to a club to see them – which might take a while; bass player Popovich was hurt in a fall, and the band is seeking an interim low guy – count your “Change.” You can bank on them.